Experimac Clearwater, Florida’s premier Apple® retailer, offers professional Apple® related services throughout Clearwater, FL, Safety, Harbor, FL, and beyond. Whether you want to buy, sell, trade, or need repair or upgrade, Experimac Clearwater is the local authority on all Apple® product repairs. They offer an array of trade-ins from refurbished desktops and laptops, Apple®, Macintosh® computers, devices and iPad® tablets. They also offer competitive financing and warranties on pre-owned equipment purchases. Do your wallet a favor by shopping for your next laptop, desktop, iPad®, or iPhone® at Experimac Clearwater. They will save you money, get you the quality Apple® products you need, and take the stress and risk out of purchasing pre-owned equipment. Call or go by Experimac Clearwater in Safety Harbor, FL, (727) 281-2282, or visit them online for more information. 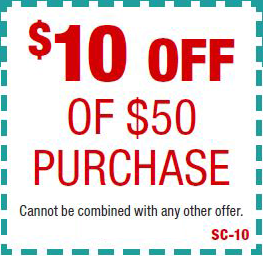 Redeem this coupon when you make a purchase or get a repair of $50 more at Experimac Clearwater, and get 10% off.